Recently, we posted images of the Kamen Rider Gaim Arms Action Gaim toyline[/URL] by Bandai. These are pretty affordable candy toys, featuring fully articulated figures. 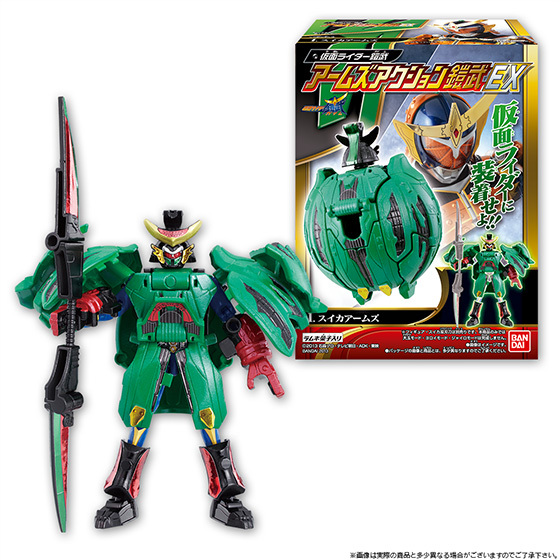 Upping the ante further, Bandai has updated[/URL] with new images for Arms Action Gaim EX, featuring Arms Action Gaim EX Suika(Watermelon) Arms! We aren’t completely sure, but it appears that with the armor on, Gaim *may actually* be fully articulated with the armor on, unlike its DX Watermelon Arms[/URL] counterpart(which has articulated arms but no articulated legs). In addition, Gaim’s transforming Arms Action Gaim EX Sakura Hurricane and Arms Action Gaim EX Kamen Rider Zangetsu With Melon Arms And Kiwi Arms have been revealed. Each will retail for 473 yen. Read on to check out the images! 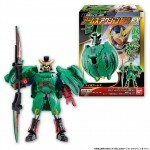 Recently, we posted images of the Kamen Rider Gaim Arms Action Gaim toyline by Bandai. These are pretty affordable candy toys, featuring fully articulated figures. Upping the ante further, Bandai has updated with new images for Arms Action Gaim EX, featuring Arms Action Gaim EX Suika(Watermelon) Arms! We aren't completely sure, but it appears that with the armor on, Gaim *may actually* be fully articulated with the armor on, unlike its DX Watermelon Arms counterpart(which has articulated arms but no articulated legs). In addition, Gaim's transforming Arms Action Gaim EX Sakura Hurricane and Arms Action Gaim EX Kamen Rider Zangetsu With Melon Arms And Kiwi Arms have been revealed. Each will retail for 473 yen. Read on to check out the images! That should be everyone's reaction when they see gaim toys! 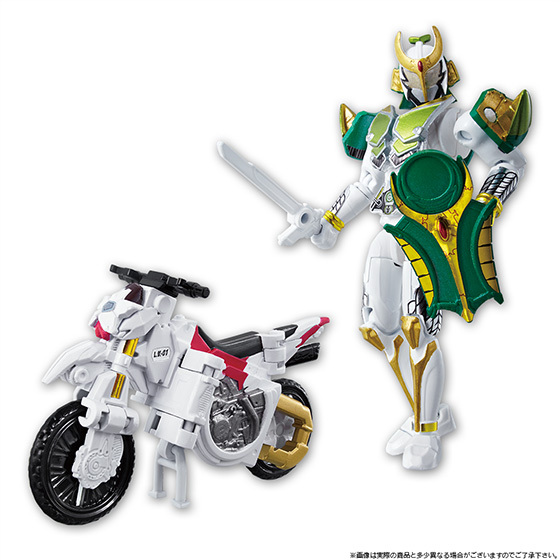 Does anyone know where I can pick up Arms Action Gaim? My normal stores have nothing. So how ariculated will the watermelon be I wonder?